Come learn about the fascinating lives of female chimpanzees with Chicago Council on Science and Technology (C2ST) and The Leakey Foundation. Female apes are often overshadowed by their larger, more boisterous male counterparts. The subtlety of social behavior in female chimpanzees belies a complex set of strategies that allow them to navigate the costs and benefits of group life. 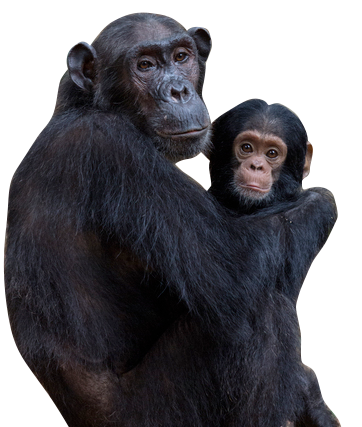 A mother and baby chimpanzee. Photo by Kevin Langergraber. 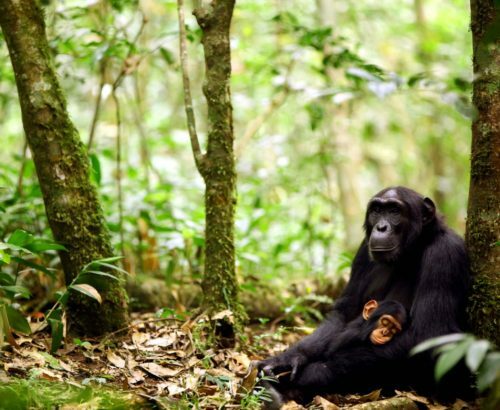 By combining decades of behavioral research with innovative non-invasive approaches, Dr. Melissa Emery Thompson and her colleagues at the Kibale Chimpanzee Project in Uganda have uncovered fascinating details about the secret lives of female chimpanzees. She will discuss how females negotiate rivalries to obtain the resources they need to reproduce, the chaotic, and sometimes violent, nature of sexual relationships with males, and the unexpected ways these relationships change with age. Along the way, you will learn about the challenges and rewards of studying this fascinating species—one of humankind’s closest relatives—in the wild. Melissa Emery Thompson, Ph.D., is an assistant professor of anthropology at the University of New Mexico and a Leakey Foundation grantee. She received her PhD in biological anthropology from Harvard in 2005. 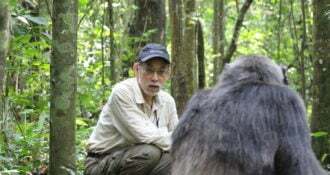 She has studied chimpanzee behavior and biology for eighteen years and serves on the board of directors of the Kibale Chimpanzee Project, one of the longest-running continuous field studies of great apes. 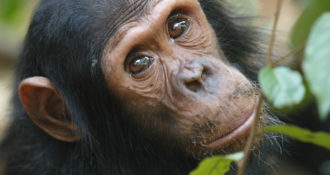 The Secret Lives of Female Chimpanzees will immediately precede two primate conferences in Chicago: Chimpanzees in Context, a three-day meeting focused on chimpanzee behavior, cognition, conservation and welfare issues, and the joint meeting of the International Primatological Society and the American Society of Primatologists at Navy Pier. Both meetings are hosted by the Lincoln Park Zoo. DETAILS: Wednesday, August 17th, 2016, 6:00 pm to 7:30 pm, Chicago Public Library, Harold Washington Center, Cindy Pritzker Auditorium (lower level), 400 South State Street, Chicago, IL 60605. Doors open at 5:00 p.m. Pre-registration is required. Tickets are $12 or $6 for students! Can’t join us live? Then join us via live stream, or watch the program at your leisure at a later date on C2ST’s YouTube channel, C2ST TV or on The Leakey Foundation’s YouTube Channel. Streaming starts at 6 p.m.
Chicago Council on Science and Technology is a 501(c)(3) nonprofit membership-based organization that brings researchers and scientists out of the lab and to the public. In an age when barely one in four adults meet a basic level of scientific literacy, we aim to reignite an excitement and passion for science and technology, and remind Chicagoans of the quality and quantity of R&D that takes place in their backyard.